I'm super excited to share some great news with you all! 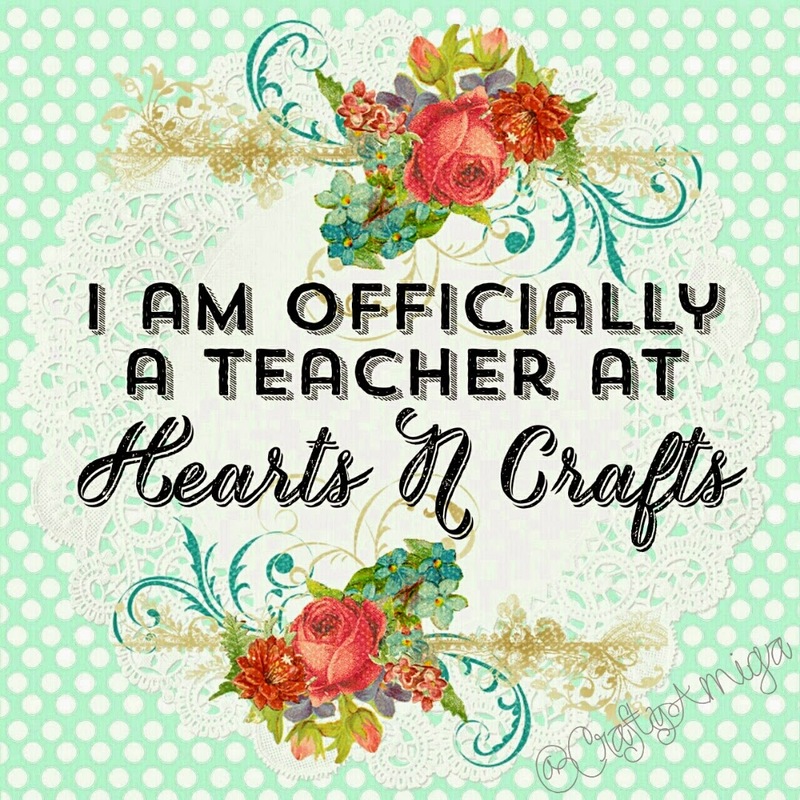 I am officially a teacher now at Hearts-N-Crafts, etc in Covina, Ca. I was so excited and wanted to share this past Monday. However, I just started working a new 9/80 schedule at work. I had a lot of ambition for the week. But I am going to have to adjust to working that extra hour per day. I am going to love being off an extra day per 2 week schedule. I will be planning classes and designing on that extra day! If you're local to the area, I hope to see you in one of my future classes. I also plan on attending crops in the future there at Hearts-N-Crafts, etc. I am super excited to be on the team there! The owner, Tee is just awesome! She is very knowledgeable on the Silhouette Cameo. I am looking forward to learning from her! Come by and visit the store if you're ever in the area. She carries a great variety of all the best companies in the industry from Authentique, Prima, My Favorite Things, Heidi Swapp, Lawn Fawn, Avery Elle, Kaisercraft and much more!